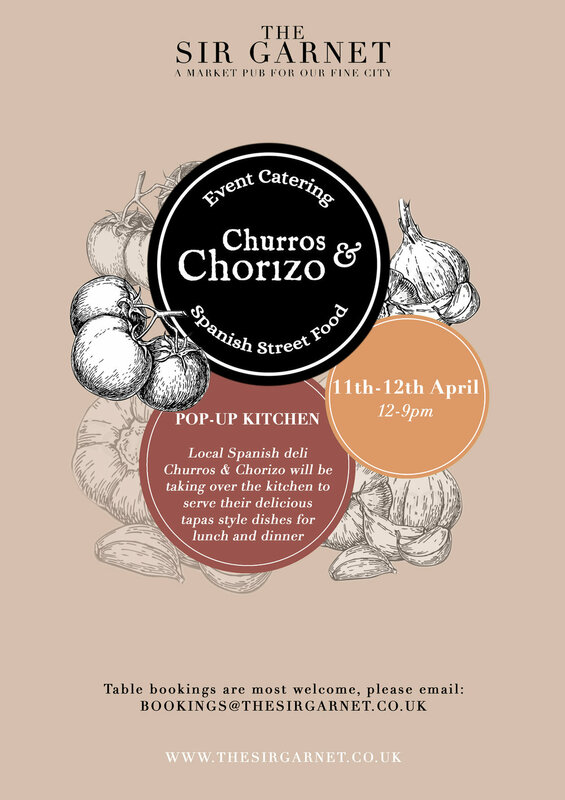 The awesome Churros & Chorizo return for another pop-up with us. 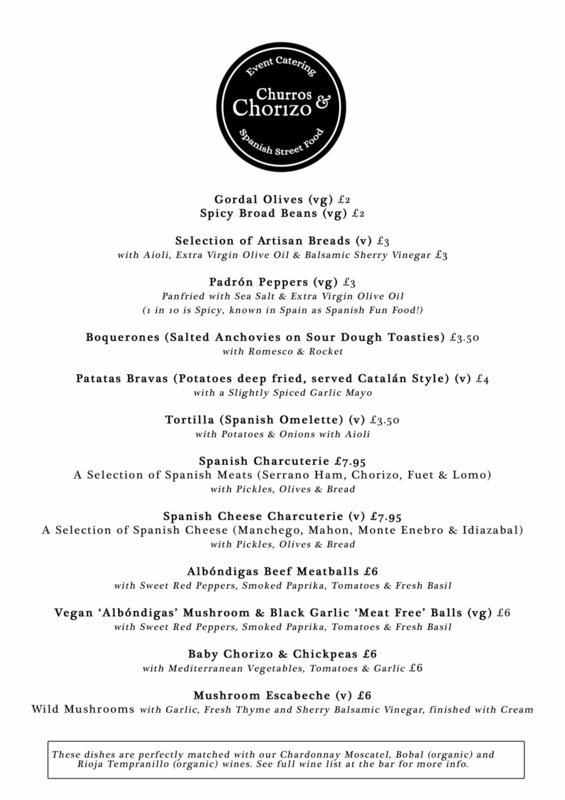 Enjoy tasty Spanish tapas from the popular local food stall (and now mobile events business) who will be taking over our kitchen from the 11th to 12th April to cook up some real delights. Book your table now or just pop in!